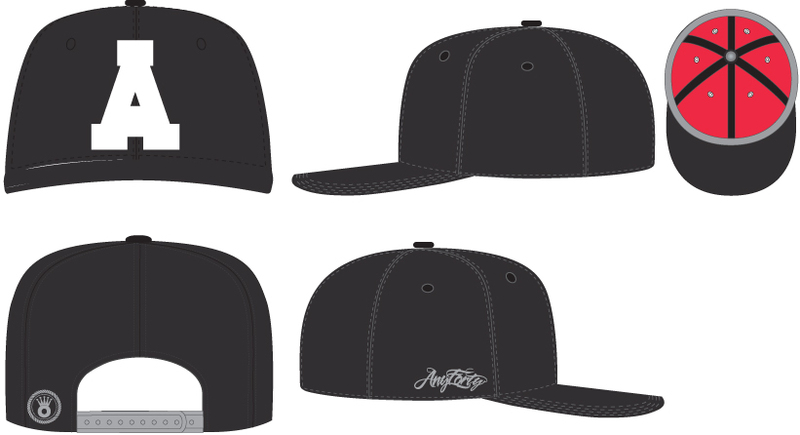 So then, if you’re a regular viewer of the blog you’ll of seen us chat about snap backs for probably the last 6 months, well now’s the time we’re dropping our first range. Off to manufacture now, we’re testing the water with a simple, everyday bold collection, we’ve christened the uppercase range, they should be on sale in July. Available in 3 colours… If these are recieved well we’ll drop the first of our artist series hats which will see one of the AnyForty family produce there very own signature snap back! Here’s a look at the designs for the uppercase range. Purple with white 3D embroidered uppercase A, with mint accents and contrasting pink interior. Athletic grey with white 3D embroidered uppercase A, with black accents and contrasting orange interior. Black with white 3D embroidered uppercase A, with grey accents and contrasting red interior. This entry was posted on May 30, 2011 at 11:51 am and is filed under Any Forty Work In Progress. You can follow any responses to this entry through the RSS 2.0 feed. You can leave a response, or trackback from your own site.